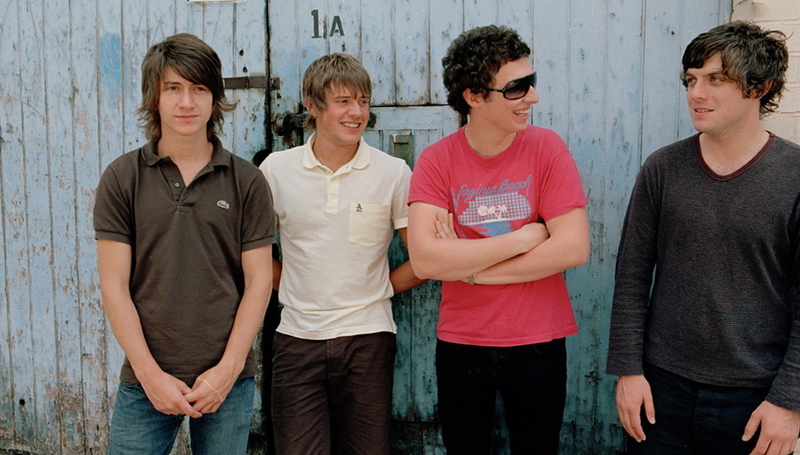 Social documenting and none-so-Northern band the Arctic Monkeys have been confirmed as a headliner for this year's Reading and Leeds festivals. They'll headline the Friday at Leeds before heading to Reading for the Saturday night. The rest of the line-up for the festival, which takes place between August 28th and 30th, will be announced at 7pm tonight. Counting down the hours? Keep your browser stuck here for more news. Kings of Leon and Radiohead are both strongly rumoured. You probably didn't hear it here first. Tickets can be bought online after 7pm tonight (Monday) for 175 English pounds from: See Tickets, Ticketmaster, Ticketline, Gigantic, Lastminute.com, Stargreen, and Ticketqueen. Alternatively, turn up in person with a briefcase full of cash/bank card at these HMV stores, at 7pm: Reading Oracle (the only store with day tickets), High Wycombe, Newbury, Oxford, Portsmouth, Reading Friar St, Southampton, Staines, Swindon and Winchester. PJ Harvey and John Parish have taken over the music section of the Guardian. Anyways, content so far includes a video interview with the twosome, an artsy photo gallery, an mpfree and Polly talking about their partnership. Yet more excited? Direct your cursors here. The Fader arranged an interview with Micachu at the Levi's/FADER Fort at SXSW. Then they heard that Grizzly Bear "loved" Micachu. Then Grizzly Bear did the interview. The resulting cross-talking larks are to be found below.